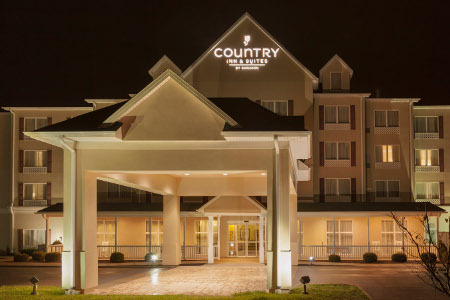 Located near I-77, the Country Inn & Suites® by Radisson, Princeton, WV lets you recharge after your drive to Princeton. 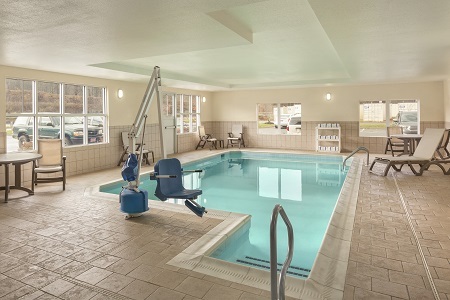 The perfect destination for families, couples and business travelers, our hotel offers convenient amenities like a fitness center and a heated indoor pool. If you want to learn about the local area, check out the historic displays at the Princeton Railroad Museum, or you can catch a live touring performance at the Chuck Mathena Center. Traveling with family or need extra space? 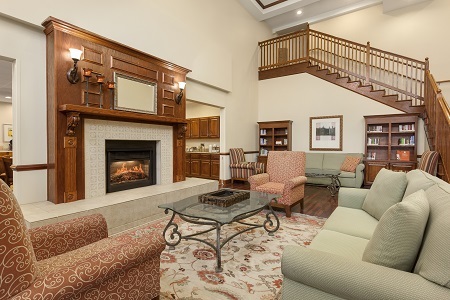 Reserve a King Suite to enjoy a larger room with a sleeper sofa and two televisions. Enjoy a great start to your day with our complimentary, hot breakfast, which features waffles, scrambled eggs and fresh fruit. For lunch or dinner, visit one of the restaurants within a mile of the hotel. New Kimono Japanese Seafood & Steak House serves up delicious hibachi-style favorites with a half-priced lunch menu, and Campestre Mexican Grill dishes out Mexican classics. Princeton Railroad Museum – Just 10 minutes from the hotel, the Princeton Railroad Museum houses unique artifacts, photographs and artwork dedicated to the city’s railway history. The facility includes a play area where the kids can build a railroad track and ride a carefully restored caboose built in 1948. Chuck Mathena Center – Since 2008, the Chuck Mathena Center has helped foster appreciation for the performing arts in West Virginia. The center features unique architecture and an intimate theater with nearly 1,000 seats. Drive about 10 minutes from the hotel to witness bluegrass concerts, Russian ballet recitals, Broadway plays and more. Mercer Mall – For a quick shopping spree, head to the Mercer Mall, 15 minutes from the hotel. This shopping center is home to 60 stores, including JCPenney, Belk and American Eagle. Stop by Hobby Lobby for scrapbooking supplies to commemorate your vacation, or see what’s playing at the AMC Classic Bluefield 8. 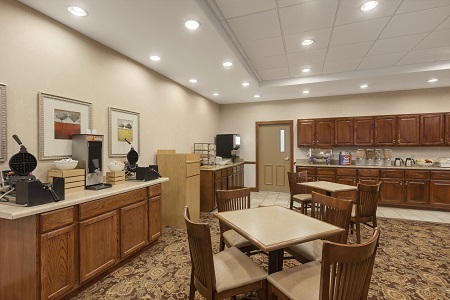 The Country Inn & Suites, Princeton, WV offers 650 square feet of meeting space capable of seating up to 35 guests. 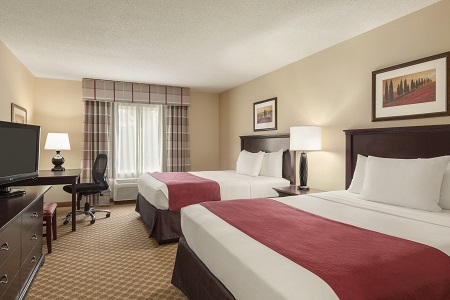 With easy access to I-77, it’s the perfect venue for business travelers. In addition to free Wi-Fi, presentation aids and a business center, our friendly staff is on hand to assist with everything from event planning to catering arrangements.